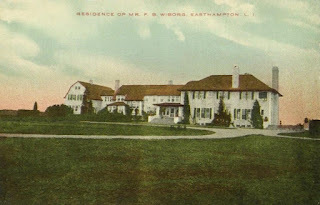 'The Dunes' the Frank Bestow Wiborg estate designed by Grosvenor Atterbury c. 1895 in East Hampton. Click HERE and HERE for more on 'The Dunes' which is no longer extant. 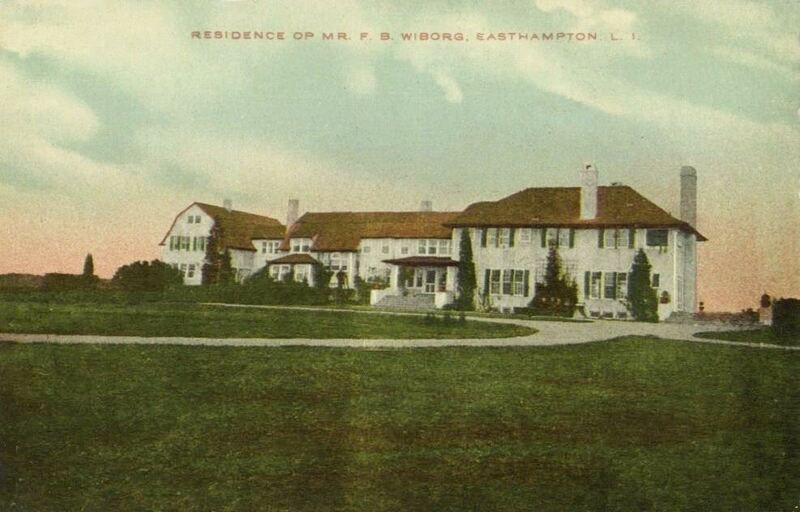 I'm just now realizing there is no Bing or Google Earth link to 'The Dunes', & no specific location cited -- only the "area of current day Wiborg Beach" in East Hampton. Does anyone know exactly where was this house, along with the two smaller houses subsequently built: 'Swan Cove' & 'Little Hut'? DFP -- That's probably as much as you're going to get online. Two sizeable houses appear to now occupy the site of 'The Dunes.' To the west of those the 'Pink House' & Maidstone clubhouse are still easily identified. The house surrounded by the high hedge would be about where the sunken gardens were. It's all very nice ... what an estate 600 acres of it must have been. Go ahead, push it open! You think I'm scared to push that door open? I ain't scared ... I just don't wanna. 1) Two photos to the right of 'The Dunes' garden door you'll see a photo of the gardens at 'Welwyn', the Harold Pratt estate in Glen Cove. 2) Three photos to the right you'll see a photo of the gardens of the Dr. Peter Brown Wyckoff house on Gin Lane in Southampton, which Zach has already posted. No, I did not peruse all the photographs, only some in each direction.